In the mega-wattage aimed at Robin Williams’ suicide everyone had something to say. But when all was said, everything went back to the way it’s always been when mental health’s the issue. The disabled or chronically ill population often inhabits a landscape where mental health is a place of shifting sands; they know that psychological symptoms are only part of the territory. And though they might not know it, anyone else who’s ever seriously considered, or attempted, suicide has been there, too. Reason 1: Suicide is a perfect storm. 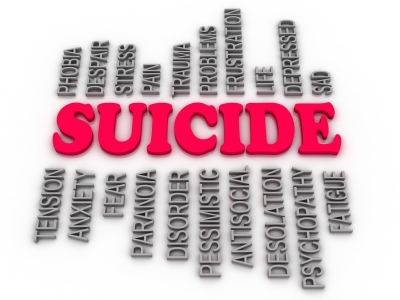 A confluence of factors accounts for an attempted or successful suicide. The biopsychosocial effect describes three separate but linked factors that make for the perfect behavioral storm. The first, biology, talks about the genetically present markers that provide the tinder that can predict a life-ending event. Certain mental health disorders result from biological events and can’t be caused by events in our lives, schizophrenia for example. In fact, most of the diagnoses found in the Diagnostic and Statistical Manual of Mental Disorders, Fifth Edition (DSM-V), are a result of nature, not nurture. (That doesn’t mean that nurture or experience can’t affect nature. For example, brain structure can actually be changed by the cumulative effects of stress). A solid neural whack is enough to upset the brain’s apple cart and to actually affect the apple cart itself (i.e., traumatic brain injury, chemotherapy). The psychological factors refer to how thoughts and feelings are processed into behaviors. How we think and what we think about ourselves and our world are significantly influenced by nurture and experience. Amazingly, significant amounts of emotional stress will actually change the structure of the brain – the hard wiring. The good news is that when brain structure has been determined this way it can also be reversed. Buddha had it right when he said that we make the world with our thoughts. Adult caregivers, or older children in our own families, are the early source of how we position ourselves psychologically. Peer groups, even one person within that group, are also influential: bullying comes to mind. Social factors refer to what’s happening around and to us. For example, when terrorists blew up the World Trade Centers people around the world experienced significant psychological reactions that were clinically diagnosable. These are the situational diagnoses without a biological cause, although an existing mental health problem may be triggered by events. For instance, a major depressive disorder can be brought on by grief, whether or not a history of depression exists. Trauma can be brought on by exposure, or over-exposure, to a horrifying event. That’s what happens when people are flooded with 24/7 video of disaster images, or a job involves continual exposure to disaster or tragedy. Reason 2: Suicide is a game of dominoes. A precipitant can be found in any third of the biopsychosocial formulation, igniting reactions in the other two spheres. Reactions are ramped up as one sphere feeds the others in endless loops. Without intervention in at least one area, a body’s systems can break down. For example, I’ve worked with diabetic clients who pay poor attention to insulin levels, diet, and exercise. This is especially true of teens. Reasons might include not wanting to be different, interference with having fun, being marked as “not normal”, or that testing is an interference. So while anxiety is part of diabetes’ medical description, that emotion may be worsened by psychological factors like negative thinking, and social factors like being shunned at school. Reason 3: Suicide is personal. Duh. Suicide is the ultimate personal decision and action. Even if you think you’ve made up your mind about whether it’s ever right for a person to take such action, there’s always a “but what about this?” scenario. The rule that works is stated “It Depends”. Which of these situations justify taking your own life? Do you think that one area of the biopsychosocial model predominates in a decision to commit suicide? Does seeking to die always signify depression? In 1975 the Karen Ann Quinlan case went to the U.S. Supreme Court before the right to die with dignity for those in a vegetative state was established. It might be said that Karen Ann’s parents fought for the right to “commit suicide for her”. The 1981 film starring Richard Dreyfus, Whose Life Is It Anyway?, addresses a quadriplegic’s right to die by refusing nourishment – a passive suicide. The film presents the moral, legal, ethical arguments that are often arrayed against individual choice. Not much has changed: decades later over 90% of states don’t allow for physician-assisted suicide, what is euphemistically called death with dignity. Our society lags behind other industrialized nations regarding physician-assisted suicide. Here the rule is that the illness must be terminal with physician intervention occurring only when death is judged to be imminent. Rather than being enlightened, our nation’s religious, legal, and medical institutions are queasy at best about death, and hands-off at worst. The result is that lots of suffering happens well before a physician provides assistance. Reason 4: To suicide or not to suicide, that is the question. Without human resilience the rate of suicide would skyrocket. That this is true is demonstrated by people who don’t commit suicide even though they share circumstances with others who do and even though their mood is likewise affected. In the case of minors and adults with diminished intellectual capacity, it ought to be our business. But all American institutions consider all suicides their business, acting in many ways to prevent it. Death of any kind seems to be owned by the living, whether it’s scary or exciting or mourned or praised. The morals of the civilized world seek to prevent death at any other hand than its own. It’s a great irony that once a life is saved little energy may be expended in assuring the quality of that saved life. Society sends double messages: suicide is prevented but it all too often doesn’t accept the burden of providing for care or being respectful and inclusive to those who’ve been saved from a fate-worse-than . . .
Reason 4: Suicide can be just a matter of time. Robin Williams’ death illustrates that suicide can be the result of many factors, not just depression. He was loved around the world with an enormous talent and humanity that made a difference in many lives. Robin Williams carried the burdens of Bipolar Disorder, so his death ought not to have surprised anyone who knows about the illness. It wasn’t just the depressive side that Williams’ displayed, although that’s what most news reports covered. I suspect it’s because most everyone is familiar with depression as causal in suicide. A rare opportunity to educate around the world about Bipolar Disorder, which includes periods of depression and mania, was missed. While most everyone knows that depression can lead to suicide, poorly understood may be the role of mania, which is more than mile-a-minute speech and behavior and includes impulsivity, especially relevant here: Williams’ final impulsive act was to hang himself with his belt, not a well-thought out suicide. Reason 5: Stress can result in suicide. Any problem in an individual’s system – chronic or acute illness, situational or inherent mental illness, social or environmental factors, the ways in which we think – can provide the potential for distress. Lots of straws have to drop into place before the camel’s back is broken. Even so, suicide isn’t a slam-dunk. But know this: chronic illness or disability increase the odds of being negatively affected physically, mentally and socially by distress. An already-stressed system is already part of the way there. And while some of us are more exquisitely tuned to stress than others, it’s familiar territory for everyone. Even so, from prisoners of war, to marathon runners, to cancer survivors, many of us display a resilience we didn’t know we had. Robin Williams was carrying financial problems, mental illness, and a fairly new diagnosis of Parkinson’s disease into an upcoming year of hefty professional commitments. Despite the affection of the world, Williams ended his life alone. For the abundantly stressed, chronically ill, or ultimately alone, like he was, suicide may be the most understood act of all. This blog was first published by Disability.gov. Kathe Skinner has been diagnosed with multiple sclerosis for over 35 years, which has compounded genetically predisposed depression. She knows first-hand what suicidality feels like. Ironically, she finds her work as a Marriage & Family Therapist anything but depressing. She is in private practice in Colorado where she lives with her husband, David, and their 2 hooligan cats. Read more about Kathe at www.beingheardnow.com or ilikebeingsickanddisabled.com. Very well thought-out article. I too wish that Robin Williams’ suicide had led to more public exploration of bipolar illness/disability/condition/whatever one calls it. When the issue is mental illness in any of its forms, we always seem to end up in the same place after the event and all the hoop-la is over— right where we started…In ight of all that has happened in Feguson, however, it would appear that we haven’t advanced very far in the racial arena with all of its issues either. . Thanks for reading and remarking on this very important issue. I agree with you; things go back to the way they’ve been too quickly after a tragedy gets attention. However, I do think that even if there are a handful of people who get the courage to speak up, that’s progress. It’s always interesting to me that people are often surprised to discover they’re not the only ones who’ve been hiding all this time.